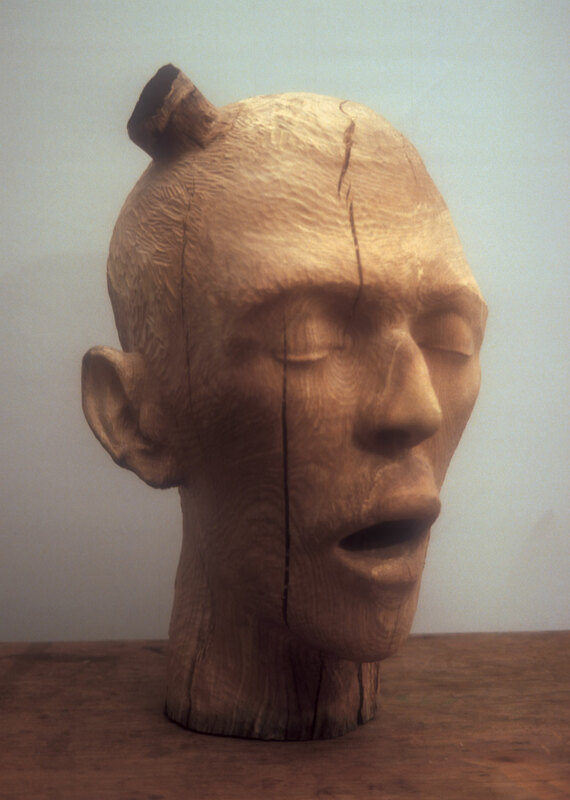 Carved from a single block of oak the piece was initially intended as a carving of Action Man’s head. 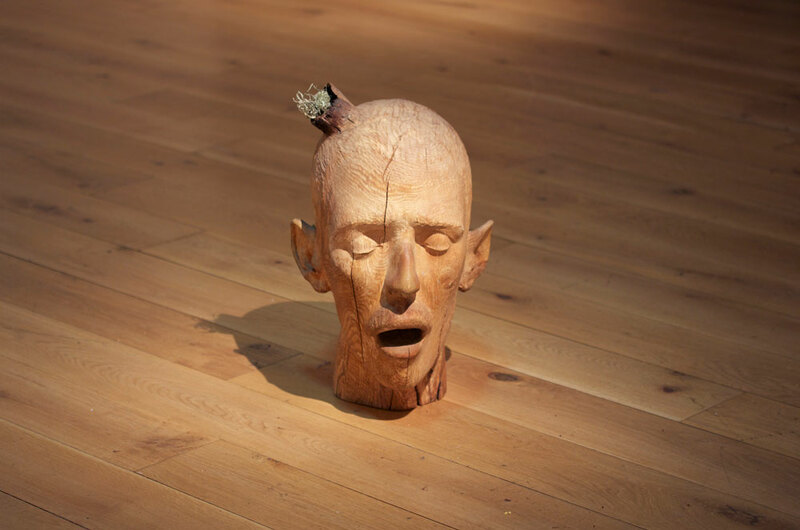 The piece changed direction half way through in response to the war in Iraq in general and a newspaper image of a captured soldier in particular. The title references the slogan from the anti war protests. Whilst carving a natural knot appeared on the surface and as I carved the knot came away and I was left with a deep depression in the head. 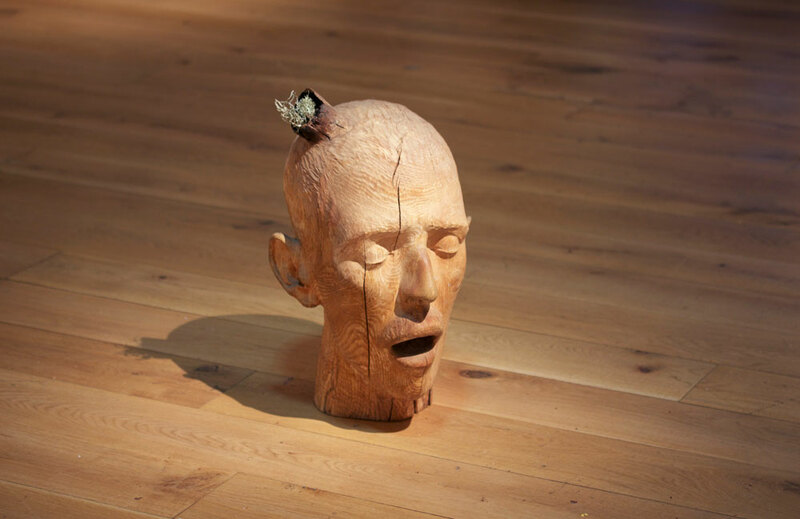 As I continued to carve the head reduced in size and the knot became an increasingly import component of the work. In the end I was attempting to capture the last breath of the soldier or perhaps the moment when life leaves the body. The piece was first exhibited with the National Portrait Societies’ annual exhibition in Cork Street, London. 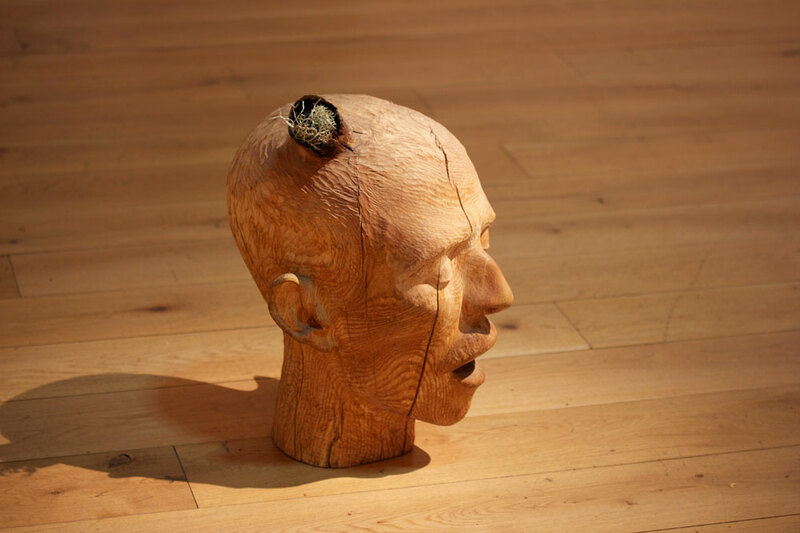 It was later included in the recent solo exhibition ‘Surface Tension’ at the Shetland Museum and Archives.